My research interests focus on wetlands, rivers and estuaries, primarily in the areas of ecosystem processes, management and restoration. The main focus of my research is the interaction between aquatic plants and their environment, at an ecosystem scale. I seek to determine the causal factors of environmental problems, for example investigating salinity and nutrient thresholds that change plant community composition. Recently, I have coordinated a multidisciplinary research group to develop a risk assessment framework to appropriately manage groundwater dependent wetlands with declining water levels. I am also developing an interest in a holistic approach to urban ecology, combining ecological and social research to improve our understanding and management of wetlands in populated areas. I have a strong commitment to facilitating best management of our aquatic ecosystems. I served on the Swan River Trust between 2004-2010, as Deputy Chair in later years. I support community engagement, having written two user-friendly guides to enable people to restore riparian vegetation and understand the role aquatic plants play in our waterways. In 2012-3, I was the Chair of the Healthy Estuaries 2111 initiative, seeking to take on the challenges of climate change and human pressures and ensuring we have healthy estuaries 100 years from now. My teaching reflects my broad interest and synthesis of research and management, providing training from broad ecological understanding at first year level, through to research to address management issues in late undergraduate and postgraduate studies. My teaching philosophy is that students learn by doing and I provide independent tasks on real world issues wherever possible. Ecology of aquatic plants (emergent and submerged macrophytes), nutrient dynamics and water quality management (eutrophication, salinisation), wetland creation and restoration, wetland nutrient filters, riparian zone function and restoration, ecological thresholds, climate change adaptation, integration of ecological and social research in urban ecology. Investigation of nutrient thresholds for ecological regime change in the Ramsar-listed Vasse-Wonnerup Lagoons in south-Western Australia. Investigates the drivers for dominance of different plant communities (phytoplankton, macroalgae, macrophytes) focusing on potential thresholds (P concentrations and N:P ratios). Funded by Geocatch, DoW, State NRM, DPAW. 2011-2013 – National Climate Change Adaptation Research Facility and National Water Commission. $311161. Chief investigator: Jane Chambers with Stephen Beatty, David Morgan and Belinda Robson & researchers from ECU, University of Western Australia, CSIRO, WA Departments of Water, and Parks and Wildlife, Subterranean Ecology and Ecotones and Assoc. Project title: Adapting to climate change: a risk assessment and decision framework for managing groundwater dependent ecosystems with declining water levels. 2011-2013 – National Climate Change Adaptation Research Facility and National Water Commission. $340735. With Ed Chester, Jane Chambers & researchers from Deakin University and the University of Western Australia. Project title: Novel methods for managing freshwater refuges against climate change in southern Australia. Lien Sim: Determining transition thresholds between alternative ecological states in saline waterbodies. Co-supervised with Dr Jenny Davis. Judy Davies: The effect of allochthonous litter as a source of energy for the aquatic communities. Can the aquatic community be altered by the translocation of allochthonous litter and macroinvertebrates in a Northern New South Wales stream? Zuzanna Kania: What are the drivers of wetland plant community composition? Alison McGilvray: “Vegetation type classification and condition assessment for the lower-mid Swan and Canning Rivers” Funded by the Swan River Trust. Co-supervised with Dr Phil Ladd. Naomi Kerp: “The influence of salinisation on the juvenile stages of invertebrates in jarrah forest streams ” Funded by ALCOA. Co-supervised with Assoc. Prof. Jenny Davis. Thomas Staveley: ‘Factors influencing water quality in selected catchments in Sarawak, Malaysia. Co-supervised with Assoc. Prof. Jenny Davis. Emma Ligtermoet: “Riparian zones in Sarawak, Malaysia: extent, condition and impact on water quality in eight water supply catchments. Co-supervised with Assoc. Prof. Jenny Davis and Dr Halina Kobryn. Renee Kruger: “The impact of annual rainfall on the water quality of Bibra Lake: relative contribution of internal and external nutrient sources” Externally funded by City of Cockburn $5000. Co-supervised with Assoc. Prof. Jenny Davis. Peter Novak: The potential use of submerged macrophytes to limit phytoplankton blooms in the lower Vasse River, WA. Victoria Hartill: The effect of salinity on germination from riparian seed banks in wetlands affected by secondary salinisation. Co-supervised with Jenny Davis. Christina Mykytiuk: Re-establishment of submerged macrophytes in urban wetlands. Co-supervised with Jenny Davis. Lynette da Silva: Comparison of natural and artificial gilvin on wetland productivity and community structure. Co-supervised with Jenny Davis. Leah Delfs: The effectiveness of MIEX regenerant in wetland restoration. Co-supervised with Jenny Davis. Deborah Cronin “The effectiveness of “Streamlining” in improving the water quality of agricultural drains in the Peel-Harvey Catchment, Western Australia. 2002-05 Lien Sim: Determining transition thresholds between alternative ecological states in saline waterbodies. Co-supervised with Dr Jenny Davis. 2009-14 Tom Atkinson: Investigation of anoxic sediment and its relationship to declining emergent macrophyte growth in the Liege St Constructed Wetland, Cannington WA. 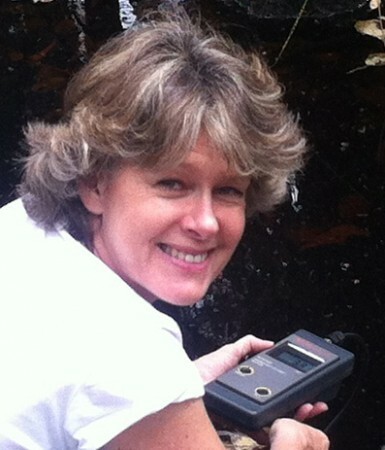 2009 Judy Davies: The effect of allochthonous litter as a source of energy for the aquatic communities. Can the aquatic community be altered by the translocation of allochthonous litter and macroinvertebrates in a Northern New South Wales stream? 2011 Zuzanna Kania: What are the drivers of wetland plant community composition? 2005 -06 Alison McGilvray: “Vegetation type classification and condition assessment for the lower-mid Swan and Canning Rivers” Co-supervised with Dr Phil Ladd. 2005-06 Naomi Kerp: “The influence of salinisation on the juvenile stages of invertebrates in jarrah forest streams ” . Co-supervised with Assoc. Prof. Jenny Davis. 2005 Emma Ligtermoet: “Riparian zones in Sarawak, Malaysia: extent, condition and impact on water quality in eight water supply catchments. Co-supervised with Assoc. Prof. Jenny Davis and Dr Halina Kobryn. 2005 Renee Kruger: “The impact of annual rainfall on the water quality of Bibra Lake: relative contribution of internal and external nutrient sources” Co-supervised with Assoc. Prof. Jenny Davis. 2003-04 Peter Novak: The potential use of submerged macrophytes to limit phytoplankton blooms in the lower Vasse River, WA. 2003-05 Victoria Hartill: The effect of salinity on germination from riparian seed banks in wetlands affected by secondary salinisation. Co-supervised with Jenny Davis. Awarded Luke Pen Scholarship and Men of the Trees Award. 2003 Meranda Toner: The impact of four different substrates on the growth and nutrient uptake of the emergent macrophyte Schoenoplectus validus. 2002-03 Christina Mykytiuk: Re-establishment of submerged macrophytes in urban wetlands. Co-supervised with Jenny Davis. 2002-03 Lynette da Silva: Comparison of natural and artificial gilvin on wetland productivity and community structure. Co-supervised with Jenny Davis. 2002 Mieke Bourne: The impact of Typha orientalis on Lake Powell. 2001-02 Leah Delfs: The effectiveness of MIEX regenerant in wetland restoration. Co-supervised with Jenny Davis. 1997-98 Deborah Cronin “The effectiveness of “Streamlining” in improving the water quality of agricultural drains in the Peel-Harvey Catchment, Western Australia. Boulton, A., Brock, M., Robson, B., Ryder, D., Chambers, J., Davis, J., (2014),Australian Freshwater Ecology: processes and management.,Wiley and sons. Nugent, G., Chambers, J., Speldewinde, P., (2013),Adapting to climate change: a risk assessment and decision making framework for managing groundwater dependent ecosystems with declining water levels. Supporting document 1: Literature review,National Climate Change Adaptation Research Facility. Chester, E., Robson, B., Chambers, J., (2013),Novel methods for managing freshwater refugesagainst climate change in southern AustraliaSupporting document 3: Anthropogenic refuges for freshwater biodiversity,National Climate Change Adaptation Research Facility. Chambers, J., (2005),Scum Book: A Guide to Common Algae and Aquatic Plants in Wetlands and Estuaries of South-western Australia,Deptartment of Environment. Chambers, J., Davis, J., McComb, A., (2009),Inland aquatic environments II - the ecology of lentic and lotic waters,In: Environmental Biology, Cambridge University Press, pages 481 to 500. Chambers, J., Davis, J., McComb, A., (2009),Inland aquatic environments I - wetland diversity and physical and chemical processes,In: Environmental Biology, Cambridge University Press, pages 452 to 480. Sim, L., Davis, J., Chambers, J., Strehlow, K., (2007),Understanding thresholds in the transition from saline to hypersaline aquatic ecosystems: south-west Western Australia,In: Salt, Nutrient and Interactions: Findings from the National River Contaminants Program, Land and Water Australia, pages 29 to 40. McComb, A., Chambers, J., (2003),The Ecology of Wetlands Created in Mining-Affected Landscapes,In: Modern Trends in Applied Aquatic Ecology, Springer, pages 247 to 268. O'Toole, P., Robson, B., Chambers, J., (2017), Riparian vegetation condition is associated with invertebrate assemblage composition in intermittent and humic streams.,	Aquatic Sciences: research across boundaries, 79, 2, pages 277 - 289. Paice, R., Chambers, J., Robson, B., (2017), Native submerged macrophyte distribution in seasonally-flowing, south-western Australian streams in relation to stream condition,	Aquatic Sciences: research across boundaries, 79, 1, pages 171 - 185. Paice, R., Chambers, J., Robson, B., (2017), Potential of submerged macrophytes to support food webs in lowland agricultural streams,	Marine & Freshwater Research, 68, 3, pages 549 - 562. Paice, R., Chambers, J., Robson, B., (2016), Outcomes of submerged macrophyte restoration in a shallow impounded, eutrophic river,	Hydrobiologia: the international journal on limnology and marine sciences, 778, 1, pages 179 - 192. Novak, P., Chambers, J., (2014), Investigation of nutrient thresholds to guide restoration and management of two impounded rivers in south-western Australia,	Ecological Engineering, 68, , pages 116 - 123. Schmack, M., Chambers, J., Dallas, S., (2012), Evaluation of a bacterial algal control agent in tank-based experiments,	Water Research, 46, 7, pages 2435 - 2444. Davis, J., Sim, L., Chambers, J., (2010), Multiple stressors and regime shifts in shallow aquatic ecosystems in antipodean landscapes,	Freshwater Biology, 55, Supplement s1, pages 5 - 18. Ligtermoet, E., Chambers, J., Kobryn, H., Davis, J., (2009), Determining the extent and condition of riparian zones in drinking water supply catchments in Sarawak, Malaysia,	Water Science and Technology: Water Supply, 9, 5, pages 517 - 531. Sim, L., Davis, J., Chambers, J., Strehlow, K., (2006), What evidence exists for alternative ecological regimes in salinising wetlands?,	Freshwater Biology, 51, 7, pages 1229 - 1248. Sim, L., Chambers, J., Davis, J., (2006), Ecological regime shifts in salinised wetland systems. I. Salinity thresholds for the loss of submerged macrophytes,	Hydrobiologia: the international journal on limnology and marine sciences, 573, 1, pages 89 - 107. Sim, L., Davis, J., Chambers, J., (2006), Ecological regime shifts in salinised wetland systems. II. Factors affecting the dominance of benthic microbial communities,	Hydrobiologia: the international journal on limnology and marine sciences, 573, 1, pages 109 - 131. Strehlow, K., Davis, J., Sim, L., Chambers, J., Halse, S., Hamilton, D., Horwitz, P., McComb, A., Froend, R., (2005), Temporal changes between ecological regimes in a range of primary and secondary salinised wetlands,	Hydrobiologia: the international journal on limnology and marine sciences, 552, 1, pages 17 - 31. O'Toole, P., Chambers, J., Robson, B., Bell, R., (2012),Quantifying nutrient removal by riparian vegetation in flat sandy systems,In: Australian Limnology Conference.